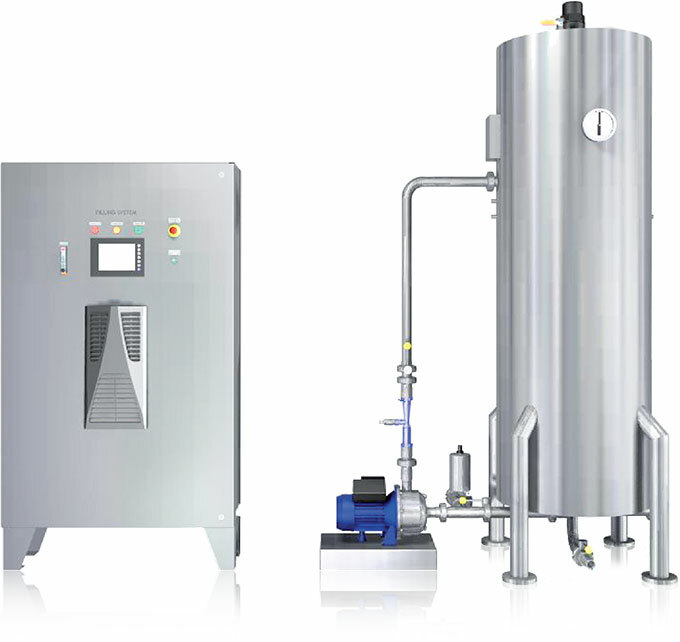 These systems are designed to meet Coca-Cola specifications for the disinfection of prepared water, namely 4 minutes of ozone contact time at a level high enough to ensure ozone residual after bottling of around 0.5ppm, in order to achieve a 5 log reduction in microbiology. 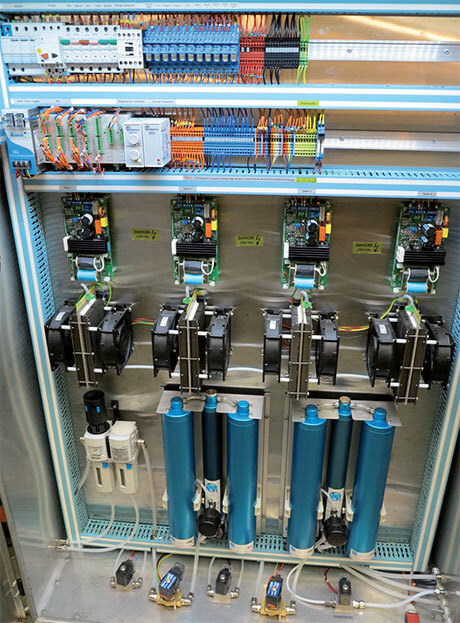 The Bright Blue bottle disinfection system has been constantly improved and refined since the first unit was produced in 2001. The Bright Blue CCS complies with EU/ CE standards and conforms to the Coca-Cola Electrical & Mechanical Standards Specifications. 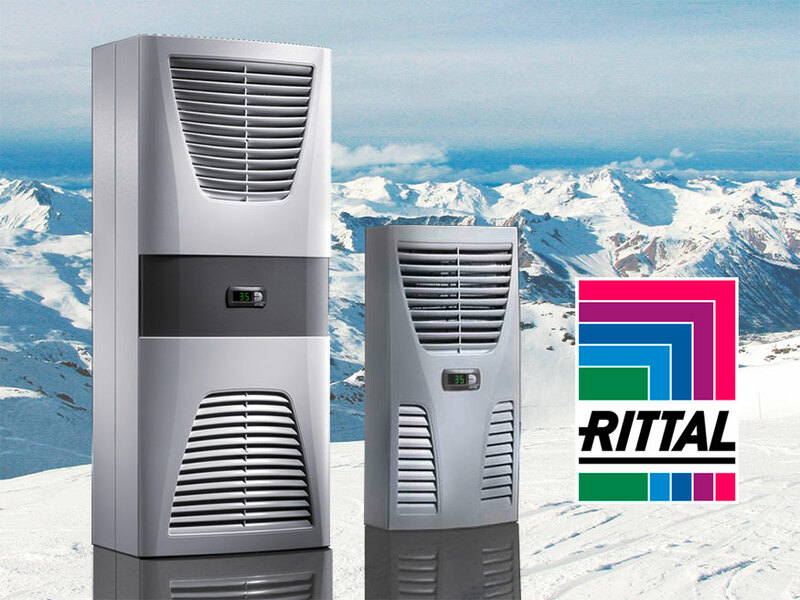 All Bright Blue CCS systems are climate controlled using built-in Rittal panel air conditioners. 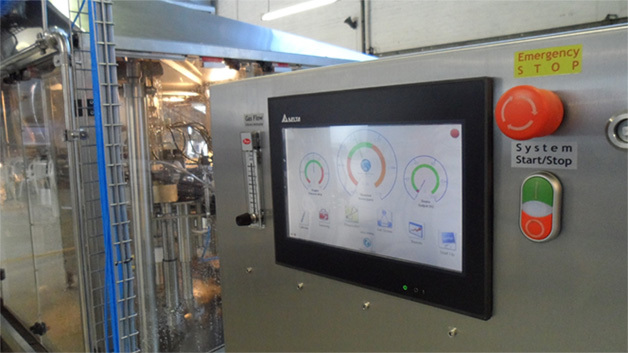 This further enhances reliability by keeping the inside of the system clean, cool and dry. Designed with health and safety in mind. 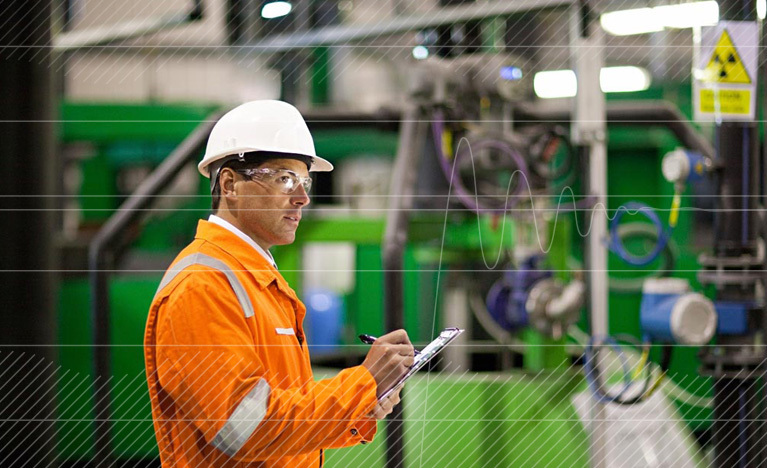 Our ozone water treatment systems include built-in safeguards to ensure that operator’s lives are not put at risk and meet Coca-Cola Specifications (Electrical and Mechanical) for safety. 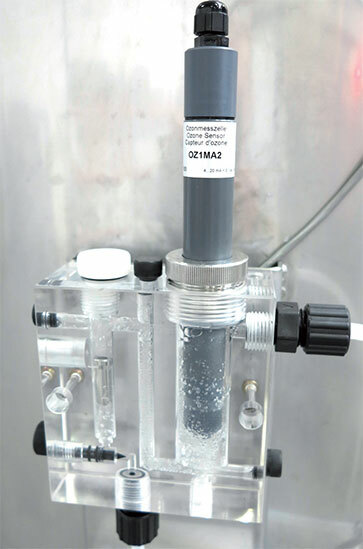 Our ozone water treatment and bottle disinfection systems have a built-in interface for 2 Drager ozone leak sensors. 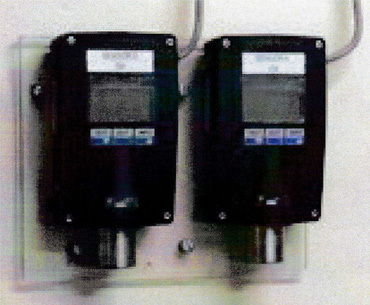 These are typically mounted in the bottling hall and in the ozone plant room. They are interlocked to the PLC. In the event of ambient ozone levels exceeding the OHS limit the ozone system will be shut down and a warning displayed. 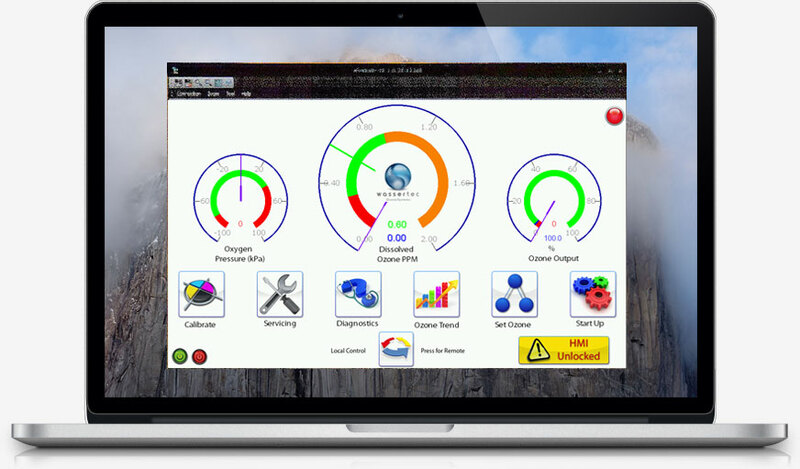 Ozone is an excellent disinfectant with the superior ability to kill viruses and biological contaminants found in water. It is also a very powerful oxidant that can oxidize metals in water such as manganese, iron and sulfur into insoluble particles, aiding in their filtration and removal from water. Oxidization by ozone in water purification also aids in removing taste and odor problems from water much more efficiently than chlorine, and ozone itself doesn’t produce any odor or taste. Due to the fact that ozone consists of oxygen, it reverts back to pure oxygen and disappears without a trace after it’s been used. 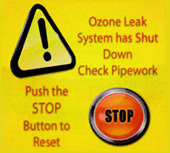 Not only does ozone remove microorganisms from water, it also halts the accumulation of deposits in your pipes and water system which greatly improves the quality of your water. Another very important benefit of water purification using ozone is that no chemicals are added to the water. Ozone is a naturally occurring substance and when utilized for water purification purposes it immediately degrades back to oxygen leaving no trace.